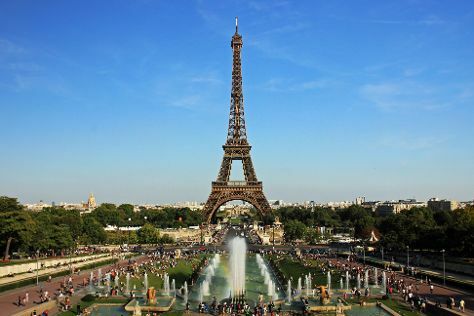 Paris is known for museums, historic sites, nightlife, parks, and nature. Your plan includes some of its best attractions: take in panoramic vistas at Eiffel Tower, snap pictures at Pont Alexandre III, browse the exhibits of Louvre Museum, and make a trip to Arc de Triomphe. To find where to stay, other places to visit, ratings, and tourist information, use the Paris online journey planner . Singapore, Singapore to Paris is an approximately 16-hour flight. You can also do a combination of flight and train; or do a combination of bus and flight. Traveling from Singapore to Paris, you'll gain 7 hours due to the time zone difference. Traveling from Singapore in June, you will find days in Paris are slightly colder (27°C), and nights are colder (15°C). Wrap up your sightseeing by early afternoon on the 15th (Fri) to allow time for the train ride to Zurich. Venture out of the city with trips to Lucerne (Dying Lion of Lucerne Monument & Mt Pilatus). There's still lots to do: contemplate the waterfront views at Lake Zurich, explore the world behind art at Museum of Art (Kunsthaus Zurich), wander the streets of Old Town (Altstadt), and admire the striking features of Fraumünster Church. To see ratings, where to stay, reviews, and more tourist information, you can read our Zurich trip itinerary builder website . Getting from Paris to Zurich by train takes about 4.5 hours. Other options: fly; or drive. In June, daytime highs in Zurich are 27°C, while nighttime lows are 15°C. Wrap up your sightseeing on the 19th (Tue) early enough to travel to Venice. 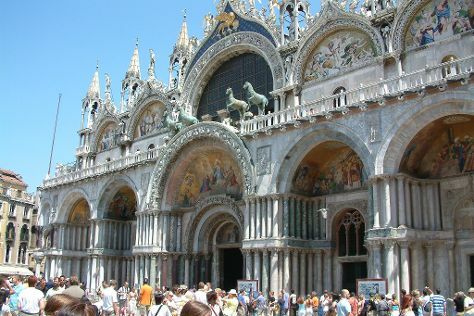 Venice is known for historic sites, nature, museums, nightlife, and shopping. Your plan includes some of its best attractions: explore the activities along Canal Grande, appreciate the extensive heritage of St. Mark's Square, admire the striking features of Basilica di San Marco, and steep yourself in history at Peggy Guggenheim Collection. To find traveler tips, ratings, where to stay, and other tourist information, refer to the Venice trip planning website . Fly from Zurich to Venice in 4 hours. Alternatively, you can drive; or take a train. Traveling from Zurich in June, things will get a bit warmer in Venice: highs are around 32°C and lows about 20°C. Wrap up your sightseeing on the 22nd (Fri) to allow time to take a train to Florence. Florence is known for museums, historic sites, shopping, classes, and nightlife. Your plan includes some of its best attractions: admire the masterpieces at Uffizi Galleries, get great views at Piazzale Michelangelo, contemplate in the serene atmosphere at The Baptistery of St. John, and take in the views from Ponte Vecchio. For more things to do, other places to visit, ratings, and more tourist information, read Florence trip planning app . Getting from Venice to Florence by train takes about 2.5 hours. Other options: drive; or take a bus. In June, daily temperatures in Florence can reach 32°C, while at night they dip to 18°C. Finish your sightseeing early on the 25th (Mon) to allow enough time to take a train to Rome. Rome is known for historic sites, museums, nightlife, shopping, and classes. Your plan includes some of its best attractions: explore the ancient world of Colosseum, steep yourself in history at Palatine Hill, pause for some serene contemplation at St. Peter's Basilica, and admire the landmark architecture of Pantheon. Before you visit Rome, use our trip planner to discover what you can do and see there. You can take a train from Florence to Rome in 1.5 hours. Alternatively, you can drive; or fly. In June, daytime highs in Rome are 34°C, while nighttime lows are 21°C. Finish your sightseeing early on the 27th (Wed) to allow enough time to travel back home.